Many people assume that owning and living in a single-family home is the best way to live. However, there are many benefits to apartment living. If you haven’t yet given it some thought, you may find that living in an apartment is actually the best choice. These are just some of the many benefits of living in an apartment instead of a more traditional house. One part of home ownership that can be expensive, stressful and time-consuming is keeping up with household maintenance and repairs. If you have owned a home in the past, then you know just how much of a drain these things can be. If you rent an apartment, though, you don’t have to worry about these things. Instead, your landlord or the property manager should take care of all of the necessary maintenance and repairs for you. Another good thing about living in an apartment is the fact that it can be a lot cheaper. You can often rent a nice, luxurious apartment for what you would pay for a house, property taxes and homeowners insurance. Additionally, you may find that your utilities are cheaper in an apartment, too, particularly in a smaller apartment that is energy efficient. Some people love working in the yard, and other people look at it as a chore. If you’re not someone who enjoys cutting the grass, pulling weeds and taking care of flowers, then you might find that apartment living is perfect for you. You should not have to worry about any type of yard work when you live in an apartment; instead, this should be taken care of by management. Even though you will not have to worry about yard work yourself, though, you can often enjoy nice landscaping and grounds, depending on the apartment complex that you move into. Keeping your home nice and clean is probably important to you, but that doesn’t mean that it’s actually something that you enjoy doing. 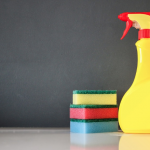 Keeping a big house clean can require a whole lot of work, and you might not have the time or inclination to focus on household cleaning. In an apartment, keeping your environment neat and clean will probably be a whole lot easier. You can spend a lot less time on cleaning and a lot more time on living. Some people like having a little more privacy. You might be worried that you will not have much privacy if you choose to live in an apartment, but some people like being surrounded by others. For example, empty-nesters who are hoping to make friends might enjoy living in an apartment complex where there are plenty of neighbors to socialize with. If you’re a social person who is hoping to make friends, you can greatly increase your chances of making friends by living in a nice apartment complex. Many apartment complexes, particularly those that are luxury apartments, offer a lot more amenities than what the average homeowner would be able to enjoy. Of course, when shopping for an apartment, you will need to look for one that has all of the amenities that you’re hoping for. For example, a lot of apartment complexes have one or more swimming pools. Sometimes, they have hot tubs, fitness centers, dog parks, playgrounds for kids and more. If you do decide that apartment living might be right for you, the list of amenities for each complex is one big thing that you will want to look for and compare when shopping for an apartment. Depending on where you live, there might not be a lot of housing options in the city limits. In many cases, people are able to find apartments in better and more convenient locations. If you want to live in the hustle and bustle of everything in your area, you might prefer living in an apartment in the city over living in a house in the suburbs. If you know that you are going to be living in the same place for many years to come, buying your own home might be a good idea. If you aren’t sure of whether or not you want to live in the same place for a long time or if you just want to keep your options open, renting an apartment can be a better idea. Of course, you will need to pay attention to your lease terms when renting an apartment, since you might be required to sign a lease for a year, or a different length of time. Qualifying to purchase a home can be tough. 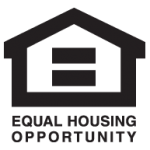 You have to make sure that your income is high enough to qualify for a mortgage and pay a monthly house payment. You also have to have a certain credit score. Even though you might have to go through a credit check and qualification process to get into a good apartment, the requirements usually aren’t as strict. If you’ve gone through a bankruptcy, divorce or other situation that affected your finances, then you might find that renting an apartment is going to be your best choice, at least for now. 10. You don’t have to pay real estate taxes! Living in a single-family home is not always the best option. For many people, living in an apartment can be a wonderful experience. If you are interested in the perks listed above, then it might be a good idea to check into some of the apartments that are available in your area. Once you do, you might find that renting an apartment is the right idea for you.